Summary: During 12-year-old Ted’s final visit with his somewhat mysterious great uncle, Uncle Ted extracts a promise from young Ted to not give up and keep looking for answers. Shortly afterward, his great uncle dies, and Ted inherits his apartment and all its contents. He and his friend Caleb are psyched to dig into the mess, but disappointed when Ted’s father invites his boss’s daughter, Isabel, to join them. Isabel turns out to be a brain, which is helpful as the three are drawn deeper and deeper into a search for lost treasure. Ted is an expert an online escape-the-room games, and it turns out his great uncle created a hunt perfectly honed to his skills. The only problem is there’s at least one bad guy racing to find the same treasure, and it’s hard to tell who he is. With plot twists on practically every page, the three kids finally end up victorious, with a few ends left loose to pave the way for a sequel. 320 pages; grades 5-8. 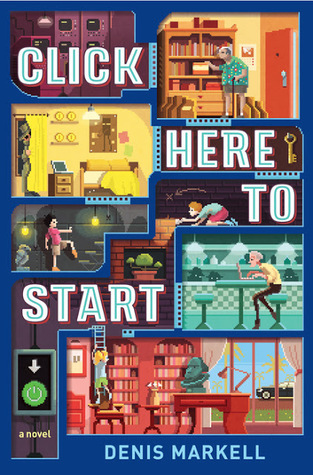 Pros: Fast-paced and funny, this is sure to engage reluctant readers with its non-stop action and humorous dialogue. Cons: Plan on suspending your disbelief by chapter two and keeping it suspended up until the last page. The solution to this puzzle is way beyond the capabilities of any mortal mind, and there are a few too many coincidences to be believable. Don’t think too much…just enjoy the ride.